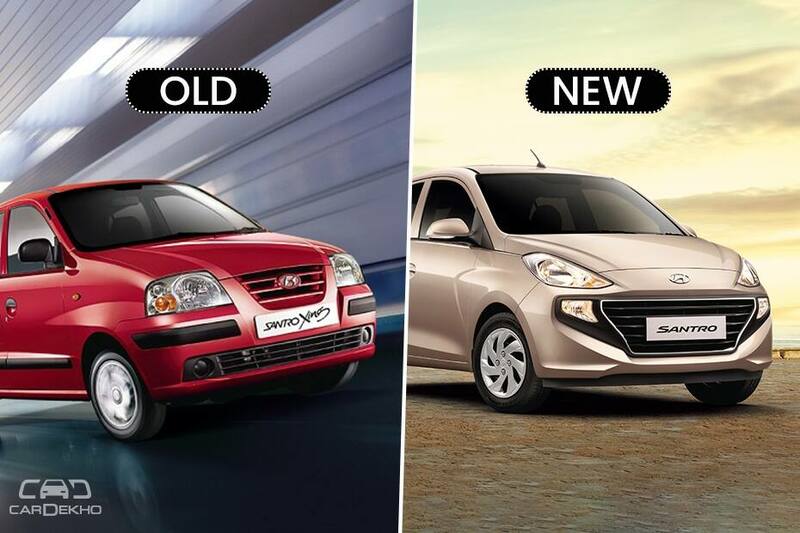 Update: New Hyundai Santro has been launched in India at a starting price of Rs 3.90 lakh (ex-showroom, pan India). Get all the details here. Hyundai, which began its Indian innings with the Santro back in September 1998, has now brought an all-new hatchback with the same moniker. 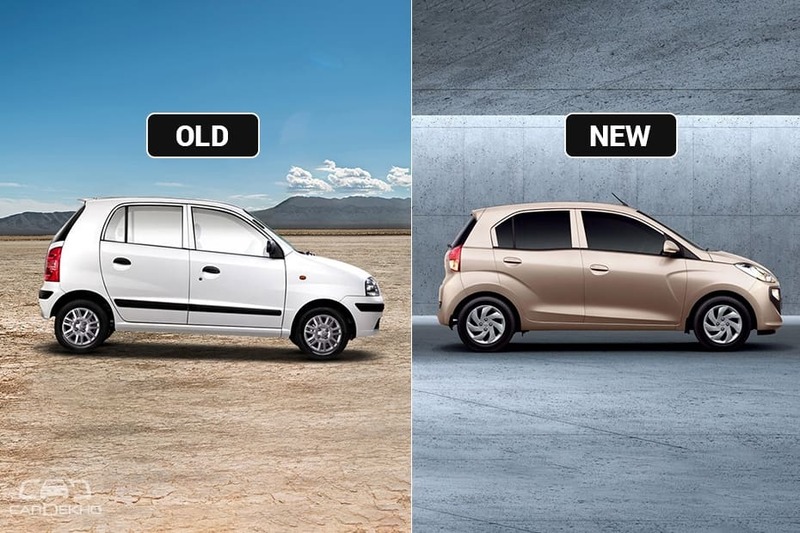 The new-gen Santro is launched after a hiatus of nearly four years since the previous version was discontinued. So without further ado, let’s check out what sets the two hatchbacks apart. 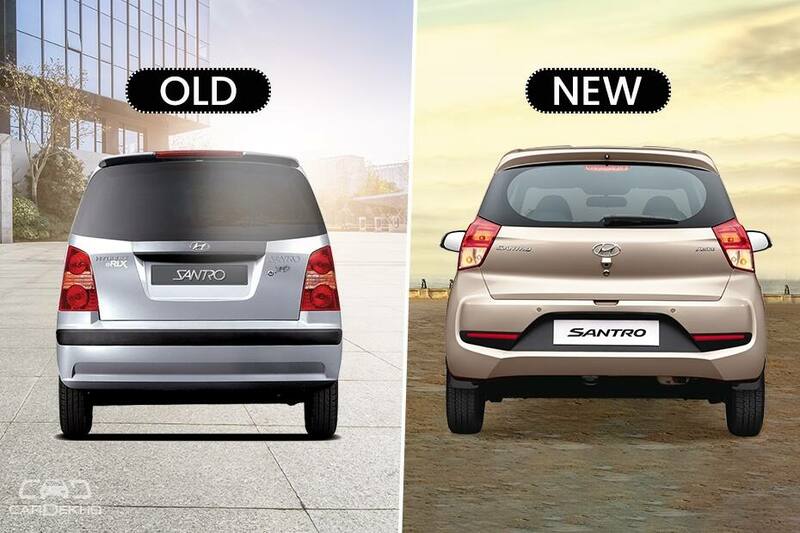 Both versions of the Santro sport a tallboy design. But that’s where the similarities end. The old Santro had a sober front end with a triple slat front grille while the current one receives Hyundai’s proprietary ‘cascading’ grille. Flanking the grille of the older car were rectangular headlamps. The new one, on the other hand, has upswept headlamps that are possibly inspired by the Grand i10 . The old Santro’s side profile featured slight creases on the front and rear wheel arches and that has been carried forward on the new one as well, albeit in a much more radical manner. It’s topped off with a kink at the bottom of the rear window. At the rear, the previous Santro had a simple design layout with a high-set rear windshield and a set of vertically placed taillamps. In contrast, the new one has tail lamps similar to the Grand i10 and a stubby boot like the one seen on the now-discontinued Maruti Suzuki A-Star. The new Hyundai Santro has grown in almost every aspect, including its tyre size. Although it’s a little shorter, we are happy to report that the headroom doesn’t appear compromised. 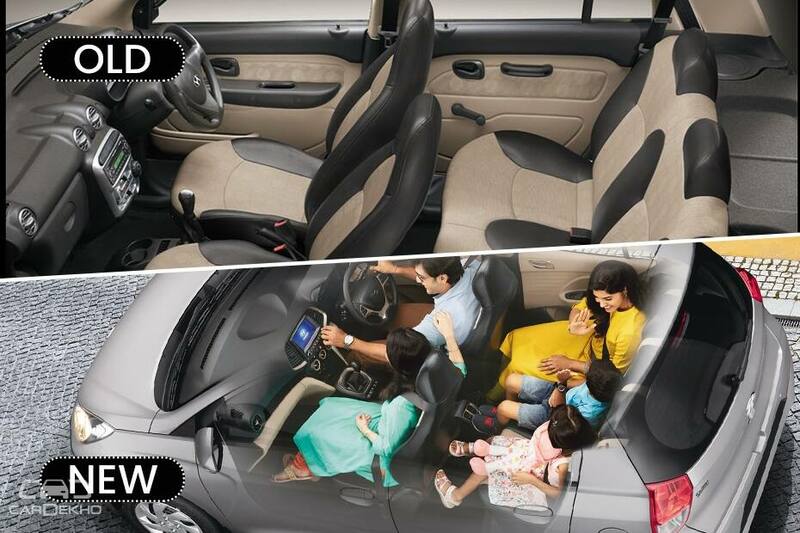 You can read more about our initial impressions of the new Santro here. The 1.1-litre E-Epsilon engine that powered the older Santro has been thoroughly reworked for the new one. It now produces higher power and torque figures as well. This engine also has the advantage of an extra cylinder in comparison to all of its direct competitors, which make do with 3-cylinder engines, and that makes it more refined as well. In a first for any Hyundai, the new Santro features a new 5-speed AMT developed in-house. It gets a manual transmission as well, like before. This engine can also be had with a factory-fitted CNG kit straight from the factory. Four years ago, an infotainment system wasn’t really a part of the feature list of an entry-level or compact hatchback. Thus, the previous Santro had a simple single-DIN audio unit with AUX and USB connectivity. The new one is a major step up in that aspect as it gets a 7-inch touchscreen unit with Apple CarPlay, Android Auto, Bluetooth and AUX-in connectivity. The older Santro didn’t offer either airbags or ABS with EBD. What it did offer were front and rear seat belts, day/night IRVM, keyless entry, speed sensitive door locks and engine immobilizer. The new 2018 Hyundai Santro gets dual front airbags, ABS with EBD, rear parking camera with sensors and fog lamps on offer as well. Driver-side airbag and ABS are standard. 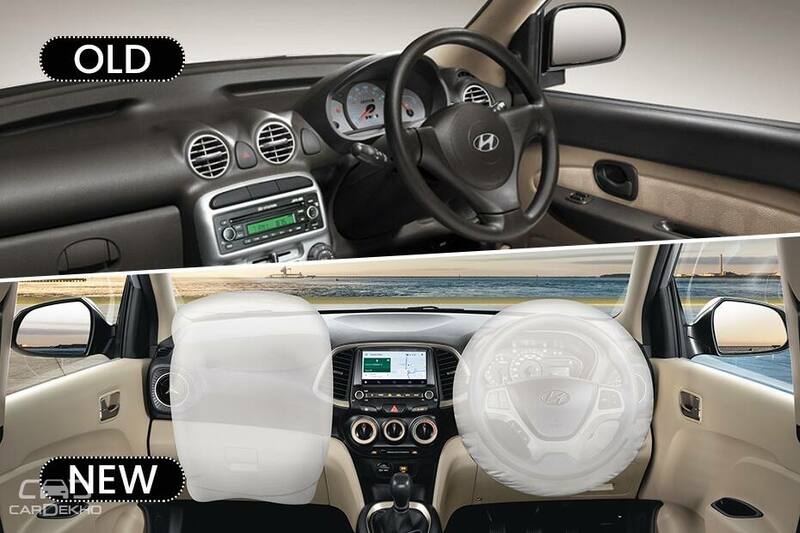 All the updates in the new Hyundai Santro seem to be at par or even better than the competition in some aspects. However, some entry-level variants do not seem to justify their pricing and even skimp on some normative safety features as well. Check out the spec comparison.